My oldest friend (i.e. the friend I’ve known the longest, not my most elderly friend.. Big difference!) 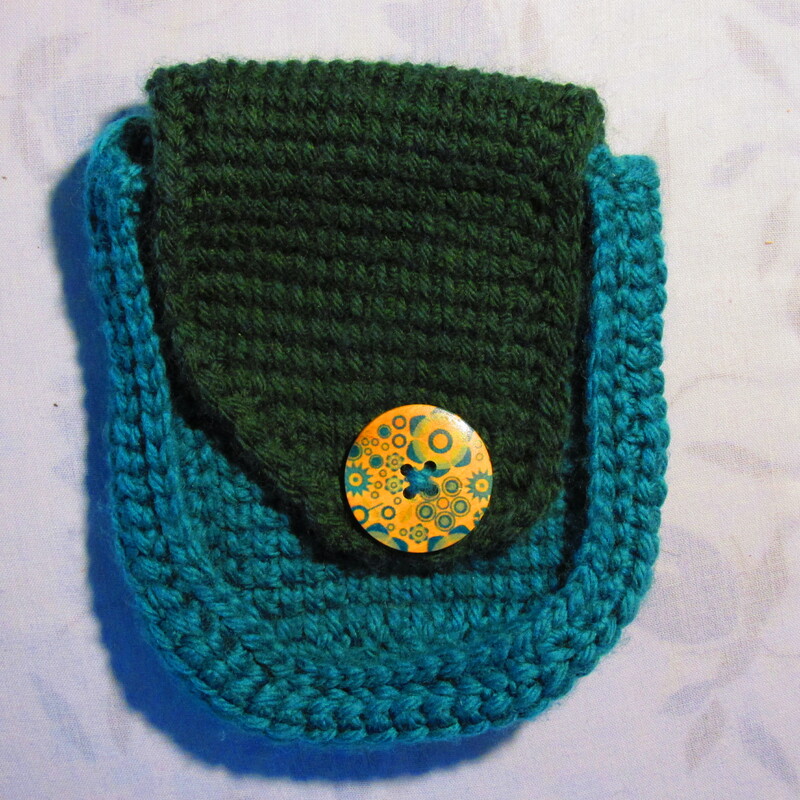 is expecting her first baby any day now, so I’ve been crocheting something for the new arrival. As she doesn’t want to know the gender of the baby in advance of the birth, I can’t make some of the cutest things as they are obviously girly. Not that I want to go gender stereotyping.. I was trying to follow a pattern for an adorable mermaid tail ‘sleeping sack’… but got stuck. That seems to be happening all the time these days – I’m not sure if I’ve just become really impatient with patterns of if they’re just badly written! Anyway, I tried experimenting my way out of the problem, but the tail still turned out too narrow, even after I changed hook size etc.. 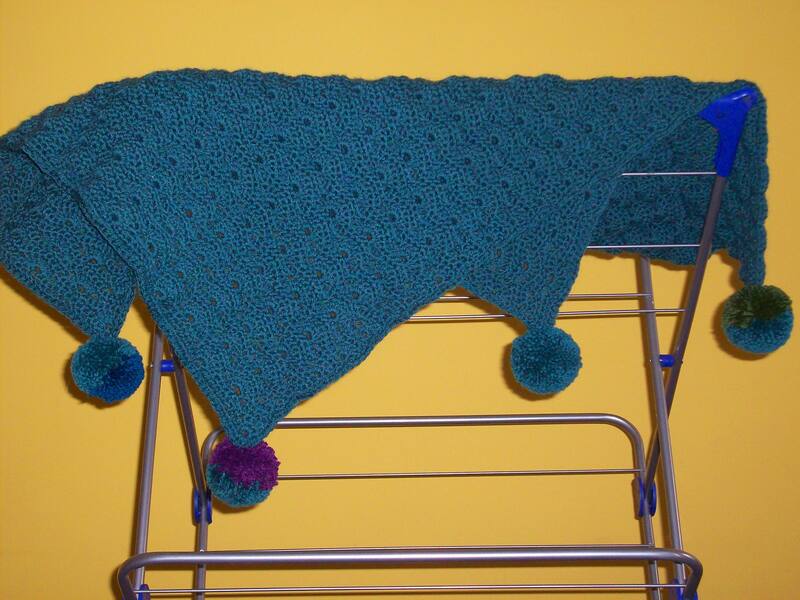 So I settled on making a blanket in a simple shell pattern, with pompoms at the corners, which worked out well. I must say how much fun pompoms are! I never used to like them, but then the massive ones became fashionable and I changed my mind.. I’ve recently discovered those pompom-makers which takes the tedium out of the process. Honestly, you can complete a pompom in a mere 5 minutes! 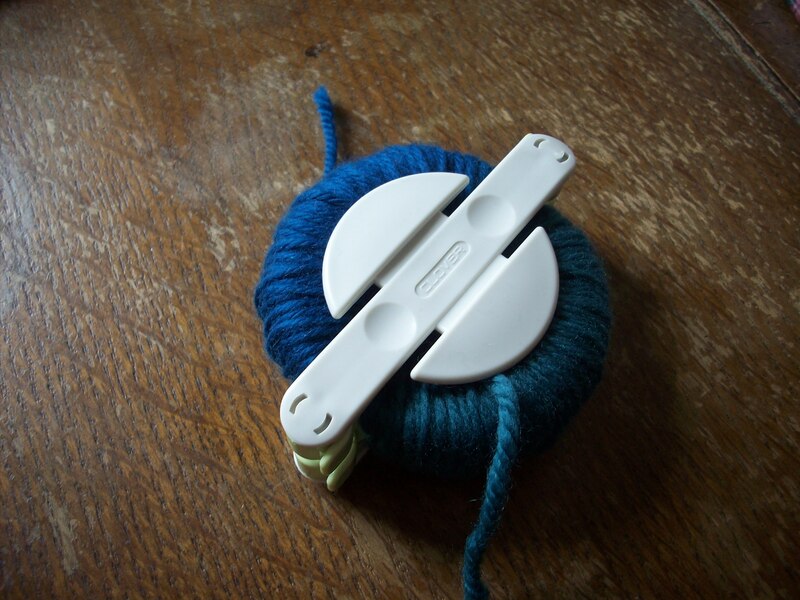 The circles open out in halves, so no need to thread the yarn through a needle and poke it through the ever-diminishing hole in the centre, like we did in primary school..
Give it a go, I urge you! They’re great stash busters. And, y’know, I’m thinking pompoms might make good Xmas decorations..